Omnia is an intriguing place that will take you on many adventures, but only if you allow it to present you with the many options that are now possible due to its involvement with numerous software companies. 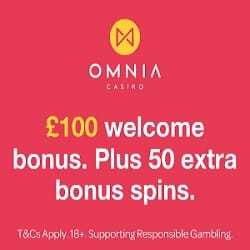 If you are still unsure about this, then you should probably give it a chance and visit the site at your earliest convenience, thus learning more about casino Omnia, and its exciting offer. The rewards have been built around you – the player, allowing for a more personalized experience that is guaranteed to put a smile on your face. The customer support is always there to help, so if you need assistance while visiting the online casino – contact the help center and you will get instant feedback on any technicalities that are causing you trouble. Let’s get started by creating a new user profile, and then verify it so that you can make a deposit whenever you are going to return and play some more of those incredible games. Omnia is the name of a recently opened online casino; the next place you should visit if you want to play a new collection of games from all kinds of software providers. Although it might still look a bit different than most online casinos, the gambling platform would be that more attractive to either beginners or more experienced visitors. There are entire collections of new and classic games, along with some live gambling thrown for good measure. 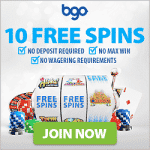 Thanks to constant support of studios like Evolution Gaming, IGT, Red Tiger, BTG, Barcrest, 2by2 gaming, NetEnt, Scientific Games, Yggdrasil, Push Gaming, Microgaming, and Cayetano, the players will be free to pursue many wonderful slots. Featuring multiple themes and genres, the video slots, jackpots, table games, video poker, and classic slots, would be only making for a much more satisfying experience. Omnia casino accepts a variety of banking methods as well, starting with trusted services like Neteller, paysafecard, Skrill, Trustly, Mastercard, and Visa.